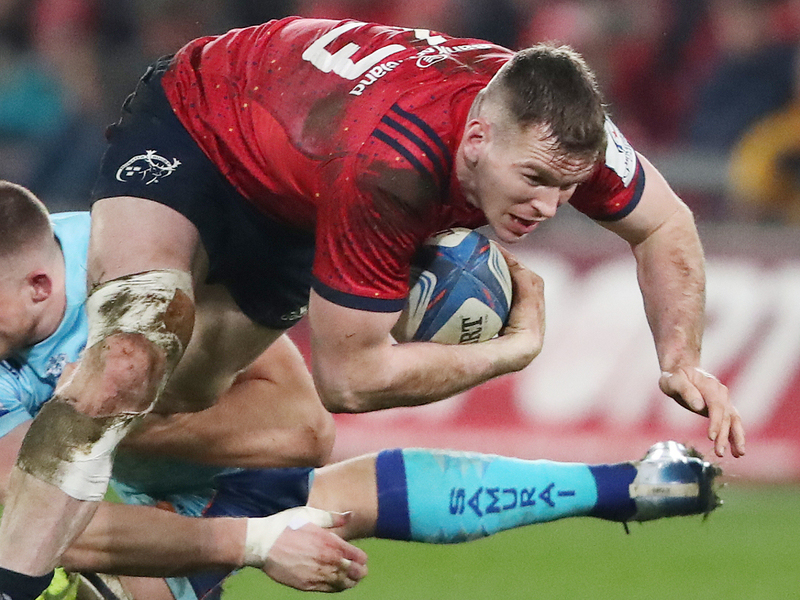 Munster centre Chris Farrell has urged his team to enforce their game on Saracens when the pair clash at the Ricoh Arena on Saturday. The two European heavyweights face off in the first Champions Cup semi-final, with Leinster taking on Toulouse in Dublin the following day. Ahead of the huge fixture Farrell admits they will be taking the game to the English side as they look to progress to a first final since 2008. “It’s our record 14th semi-final, but we can’t go into this one with the same mindset we previously have had,” the 26-year-old told EPC Rugby ahead of the weekend. “You can’t go out into these games and sit back and hope to win. We have got to enforce our game on them. Munster come into this game on the back of a PRO14 win at Benetton while they beat Edinburgh in their European quarter-final to set up this date with Saracens, who Farrell knows will be a formidable opponent. “They are consistently a really physical side, so that will be key for us is to stop their momentum,” he added. “They rely on set-piece and the contact area.